When clicking on an item in the «Contents» list the details of that Content will be shown. The «Location» field shows the location of content the linked item ins linked to. The «Name» field shows the name of content the linked item ins linked to. 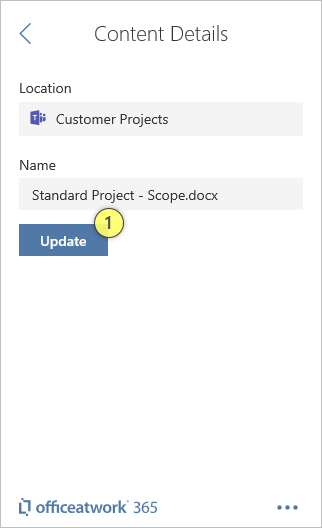 The «Update» button will upload the current state of your linked item in your document and overwrite the content file linked to this item.